In February I had the opportunity to attend the “Artisan Dairy Producer Food Safety Initiative Workshop” to learn about the Food Safety Modernization Act (FSMA) along with other leaders in the dairy industry here in Wisconsin. It was put on by the Wisconsin Cheese Makers Association and was offered at no expense thanks to a generous grant from USDA-NIFA. Marianne Smukowski, from the Center for Dairy Research (CDR) and Matt Mathison from the Wisconsin Milk Marketing Board (WMMB) were the trainers for the workshop. The workshop was a brief overview of the expectations that the FDA has put before every business in the food industry, from the large to the small plants. This workshop was geared towards the dairy industry, focusing on the hazards that arise, and how to put a detailed plan together to prevent them. One of the hazards that was of special interest, especially due to the sheer amount of news coverage that it has gotten in the previous months, was the elimination and prevention of Listeria monocytongenes in raw milk, cheeses, and Ready-to-Eat (RTEs) products. 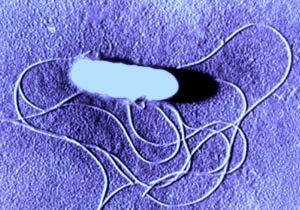 Listeria monocytongenes is a gram-positive microorganism that does not form itself into a spore when dormant, doesn’t need oxygen to reproduce and can grow between -0.4 and 50° C (31.28 and 122° F). L. monocytongenes can be found in numerous places in our environment, including water, soil, dust, plants, animal feed, feces, and sewage. When it comes to the dairy plant, Listeria has been mostly found in moist environments including drains, floors, coolers, conveyors, and case washing areas. Pasteurizing is the most effective way of destroying Listeria, but if post-contamination occurs Listeria growth can swiftly get out of control. Listeria can quickly multiply to dangerous levels, and despite proper refrigeration can continue to multiply. 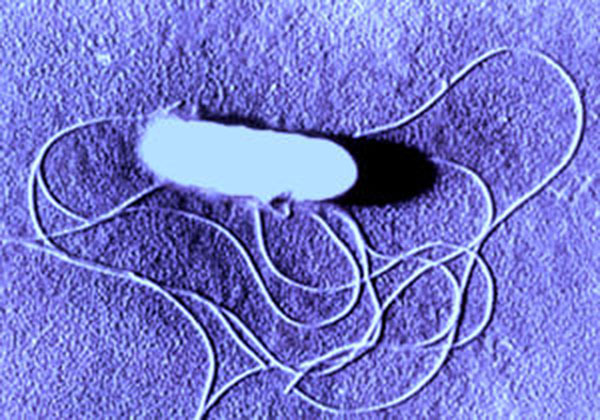 Listeriosis is the foodborne illness that is caused by Listeria monocytongenes. It is estimated that it affects 1,600 people every year in the U.S and it is known to kill 19.5% of those sickened by it. Much like any foodborne illness it can affect the immuno-compromised, the elderly, and it is also known to impair and sometimes kill fetuses. So what can be done to prevent the contamination of Listeria? First and foremost a detailed safety plan that segregates raw milk and the tools and equipment used before pasteurization from the pasteurized milk is absolutely necessary. This can be assisted by using a color-coding system to keep brushes, squeegees, pails, etc. from being cross-contaminated with raw milk. Just recently Nelson-Jameson put out a new Color-Coded Catalog highlighting the numerous products that can be put in place to create a zoning system to prevent the cross-contamination that is so dangerous to product. You can check out that catalog here. Another important part of preventing Listeria is developing an environmental cleaning, sanitizing and monitoring program. Nelson-Jameson carries a variety of ATP monitoring systems to help with this. Check out this previously featured, easy-to-understand blog, that breaks down what ATP is and what luminometers can do to assist in ensuring cleaning efficacy. We also carry quick swabs that can specifically be used to test equipment for Listeria. Unfortunately, recalls due to Listeria keep popping up. Nelson-Jameson is provides the tools and instruments to help prevent recalls. Not only does Nelson-Jameson provide you the luminometers, swabs, brushes, and other equipment needed, but we also do our best to help our customers search out educational opportunities that can be so powerful in helping understand and combat food safety threats. For instance, our partners at Cherney College have a variety of classes that could be helpful in preventing Listeria along with any other microorganisms from entering product. Some of the classes from Cherney college include: “Environmental Monitoring & Sanitation Essentials,” “Introduction to Food Microbiology-The Basics,” “Advanced Food Microbiology” along with a few others. Check out their website for dates. Mention that you are a Nelson-Jameson customer at checkout and receive 10%. In addition, the CDR has some great short courses, including, “Wisconsin Cleaning and Sanitation Workshop,” “HACCP Workshop,”, and “Milk Pasteurization” that can assist with helping plants become safer. Together, and through educational opportunities like those mentioned here, the food and dairy industries can take on the challenges of the Food Safety Modernization Act, fight food safety threats like Listeria, and ensure a safe food supply for the nation. The National Conference on Interstate Milk Shipments (NCIMS) is scheduled to meet in May 12-17 in Grand Rapids, Michigan and will be considering a proposal for lowering the maximum allowable somatic cell count (SCC) in milk to 400,000 cells per milliliter. The National Milk Producers Federation (NMPF) has long been a proponent of lowering the SCC threshold to 400,000 cells/ml. The current threshold is 750,000 cells per milliliter. The European Union (EU) and other countries have adopted the 400,000 cell/ml standard, placing import bans on any dairy products sourced from farms with SCCs above that level. SCC levels measure dead white blood cells in milk, an indication of mammary gland infections. Lower levels of somatic cells indicate higher quality milk. Some federal milk marketing orders have a 350,000 cells/ml threshold to determine milk quality premiums. Dairy processors believe that lower SCC thresholds impact cheese yield, taste and shelf life. Nelson-Jameson offers several PortaCheck products to help dairy farmers monitor the SCC of individual cows in their herd. UdderCheck LDH Milk Test is an effective tool in monitoring udder health. It measures Lactate Dehydrogenase (LDH), an enzyme present in milk when cells are damaged during an udder infection. LDH levels often rise earlier than somatic cell counts, making it an excellent marker for early detection of mastitis. PortaCheck also offers two somatic cell count tests for on-farm detection of sub-clinical mastitis. The PortaSCC Milk Test is used with a color chart or digital reader. It has a 45 minute reaction time and numerical results are projected by the digital reader. The PortaSCC Quick Test is based on the same technology as the original test, but it has a faster reaction time of 5-6 minutes. It uses a test strip which is compared to a color chart to give a general level of SCC. Read more about these tests here, or check out the instructional video. Back to School: All Year Long! As a new school year starts in many parts of the country, we’re more than likely overdue for those “Back to School” banners to be taken down in the big box stores and be replaced with an onslaught of Halloween products and advertisements. It was a good two months of active marketing, but now it’s time to move on, right? Truthfully, “back to school” is a mindset that doesn’t know a season and doesn’t get pushed aside for fun-size candy bars (as wonderful as they may be). “Back to school” could be seen as a life-long mantra of continuing education and professional development. In the food industry, if it weren’t for continuing education and training, we would never be able to keep up with consumer, regulatory, food safety and quality demands. That’s why Nelson-Jameson is continuing to work with Cherney College, part of Cherney Microbiological Services, to offer an array of courses targeted at food industry professionals. Cherney College offers courses year-round, addressing topics from basic food safety all the way to advanced food microbiology and FSMA Preventive Controls. Courses are held in Green Bay, WI; however, some courses and training sessions can actually be held right on site, at your facility, to save time and travel expenses for groups. Large-scale food theft is the plat du jour on criminal menus as of late. 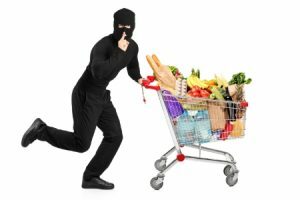 In fact, food and beverages have replaced electronics as the most-stolen good in the United States, with an estimated $21 million worth of food and beverages stolen in 2015. Products range from alcohol, meat ($41,000 in chicken wings by a father and son team in New York), and dairy (especially cheese and ice cream) to produce, nuts and seeds. Thieves find edibles appetizing targets because the value is high and the risk is relatively low—many perishables don’t have serial numbers and can’t be tagged or traced. Cheese is currently the most stolen food item in the world. In the last 3 years, almost $425,000 worth of cheese has been stolen in Wisconsin alone—including $90,000 in Marshfield near Nelson-Jameson’s headquarters and $46,000 worth just a month ago near Milwaukee. Any way you slice it, that’s a whole lot of cheddar. Gouda thing for the dairy industry, it’s not that easy to get away with stealing lotza mozza. Cheese is a highly-regulated food, with documentation implemented at various stages of production and distribution—from paperwork to truck seals. Thus, most of the recent queso the stolen cheeses have been solved. Some of the most sophisticated and frequent shell games involve the nut industry in California, with almonds, walnuts and pistachios targeted most often. And the thieves are clearly on a (nut) roll: in the past 9 months, more than $10 million worth of product has been stolen from the California supply chain, which is about $3 million more than the amount stolen in the last 4 years. It is believed that most of the stolen nuts are being sold for export, as they have a long shelf-life, are relatively untraceable and have increased in global value and popularity. Fortunately, the nut industry is doing their best to crack the case. Since most of the thefts take place during the logistics process, extra safety and security measures have been implemented that include radio-frequency identification (RFID) tags and fingerprinting and photographing truck drivers. Police task forces have also been recently increased. While we often laugh when we hear that someone’s stolen 600 barrels of maple syrup, don’t let the puns and humor detract from the economic damage the stolen food black market inflicts. It negatively impacts growers, agricultural laborers, processors, logistic companies, distributors, retailers and insurers. Eventually, the loss of income is passed onto the consumer through food shortages and raised prices. Food safety is also an issue. Like the California man that was caught selling unrefrigerated, stolen orange juice out of his garage, most thieves don’t care about proper handling and storage of the product. Clearly, the risk of foodborne illness combined with far-reaching monetary losses make food crime a seriously unpalatable concern that needs to be addressed with some importance. For more information on the FDA’s cargo theft policies and notices, please see http://www.fda.gov/ICECI/CriminalInvestigations/ucm182888.htm . As Nelson-Jameson continues to supply the craft beer industry with a mixture of laboratory products, maintenance/repair/operations supplies, and processing products, we are always on the lookout for resources that can help us anticipate our brewery customers’ needs. If you haven’t been before, the Craft Brewers Conference & BrewExpo America® is a prolific place to take in the newest developments in the industry from a rich array of industry professionals and suppliers. Nelson-Jameson will be in attendance this year at Brew Expo America® in Philadelphia. Whether you are talking lab supplies, instrumentation and equipment, color-coded offerings, hosing, or even engineering products and services through our sister company Kaestner, we’re here to help! I personally will be sitting in with Nasco, maker of the very popular Whirl-Pak® bag, on Wednesday, May 4th. If you will be attending the show, I would like to invite you to booth #3714 to check out an array of Whirl-Pak products, as well as discussing any supply needs that your brewery may have that Nelson-Jameson could provide. Then, on Thursday, May 5th, Jeff Turnbull, Technical Sales Specialist, will be sitting in with Allied Purchasing (booth #3521). Jeff will be there to discuss how Allied and Nelson-Jameson can help you with an array of products, including processing and flow control offerings. For more information on the Craft Brewers Conference & BrewExpo America® click here. To sneak a peek into our Whirl-Pak offerings before the show, click here. To check out Allied Purchasing, click here.